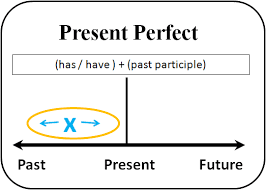 xiscoenglish: ESO3- PRESENT PERFECT II - JUST; ALREADY ; STILL AND YET . ESO3- PRESENT PERFECT II - JUST; ALREADY ; STILL AND YET . let's continue working with words which are related to PRESENT PERFECT . Now ,do these exercises to check that you fully understand these new words . Click on 3 , 4 , and 5 .